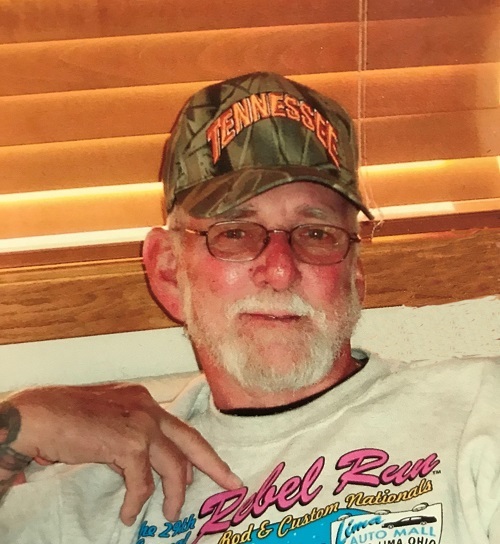 Dale A. Schiefley, 73, of Sandusky passed away unexpectedly Tuesday, November 20, 2018 in the Firelands Regional Medical Center, Sandusky. He was born March 4, 1945 to the late Alfred “Al” and Theda (Lewis) Schiefley in Sandusky. Dale was a 1963 graduate of Sandusky High School. He was a 40-year employee of the Sandusky plant Ford Motor Company, retiring in 2004. While working full time at Ford, Dale took over the Father & Son Tattoo Studio in 1968, founded by his father Al Schiefley in Sandusky in 1927. He owned and operated the tattoo studio, retiring in 2000. He was a member of Holy Angels Catholic Church and UAW Local 1216. His hobbies included classic cars, Cushman motor scooters, and perch fishing on Lake Erie. He is survived by his high school sweetheart and wife of 54 years, Carole A. (Mittler) Schiefley whom he married November 7, 1964; his beloved children, Lori (Rob) Pulkinen of Minot, ND, Amie (Todd) Woods of New London, and Michael (Andrea) Schiefley of Atlanta, GA; three grandchildren, Zachariah Pulkinen, Zebulen Pulkinen, and Alexander Rash; his lifelong buddies, Larry Seiler and Wayne Rohrbaugh, nieces, nephews, and other relatives. He was preceded in death by his parents and one sister, Joann Burns. At the request of the deceased, cremation has taken place. The family will receive friends Saturday, November 24, 2018 from 11:00 AM -1:00 PM in the Pfeil Funeral Home, Sandusky Chapel, 617 Columbus Avenue, Sandusky. Private family services will be held later. In lieu of flowers, memorial contributions may be made to the American Heart Association, 4331 Keystone Drive, Suite D, Maumee, OH 43537.